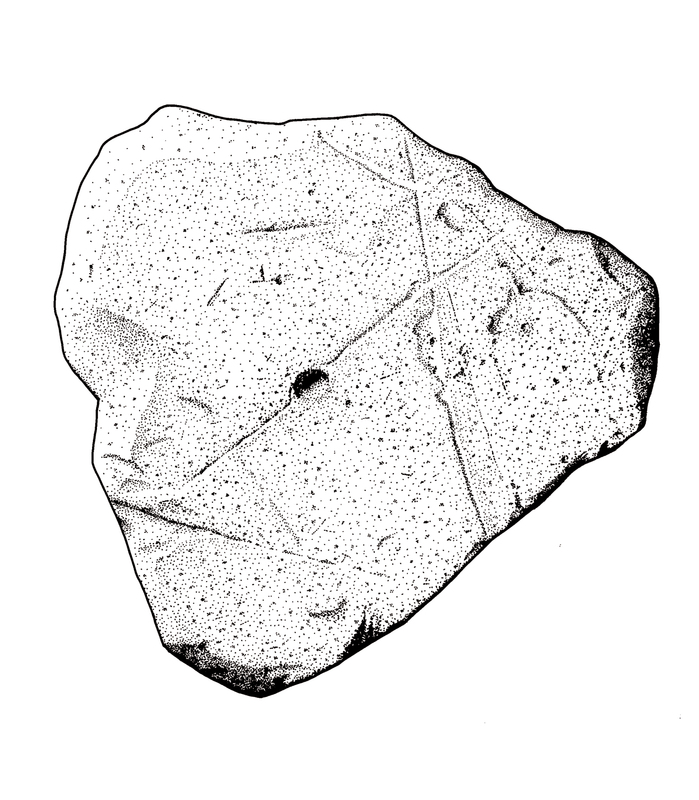 My name is Mark Hoyle, and I have worked in the field of archaeology and archaeological illustration for more than 20 years, I have a first class honors degree in History (BA Hons) and a qualified teacher (P.G.C.E.) and am currently a full member of the Institute of Field Archaeologists (MIfA). Please use this site to look at a very small selection on my work, ranging from pottery, small find and site plan illustrations. 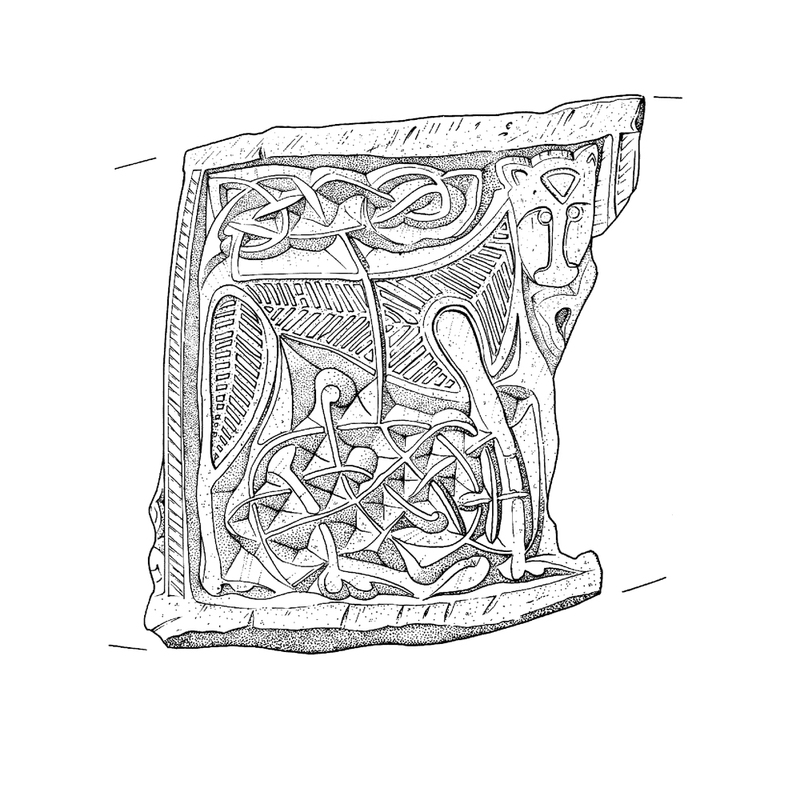 I currently run workshops and courses on all aspects of archaeologial illustration. I have worked for clients such as Vindolanda Trust; Norfolk Wildlife Trust; The Institute of World Archaeology-Butrint; Pre-Construct Archaeology; Norfolk Archaeological Unit; Durham University; The Portable Antiquities Scheme; Northern Counties Archaeological Services; York University; Newcastle University, and many more. 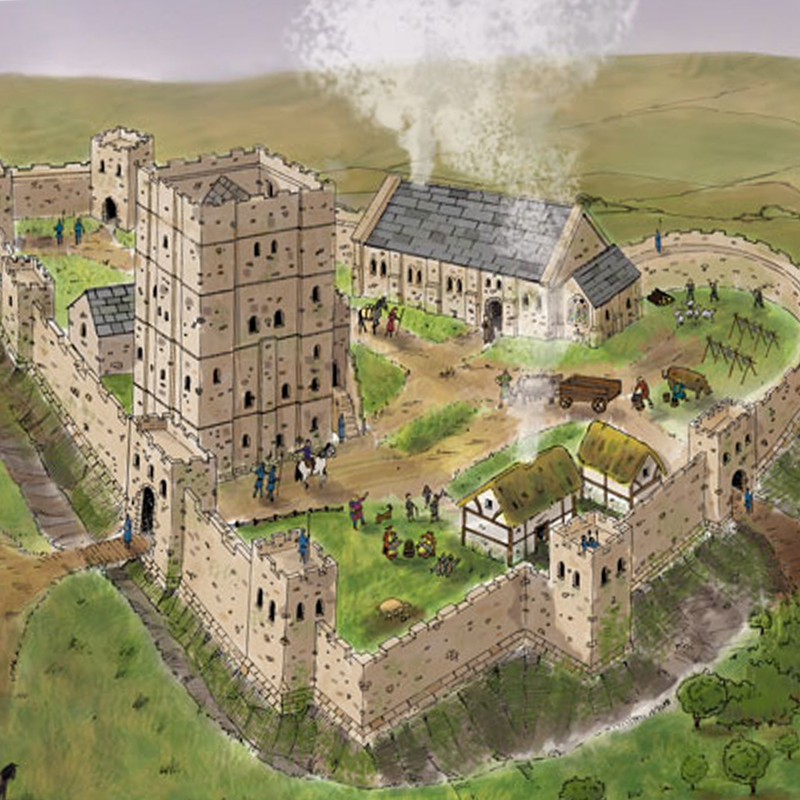 Reconstruction of Newcastle Keep in the C. 12. Produced for Newcastle City Council. 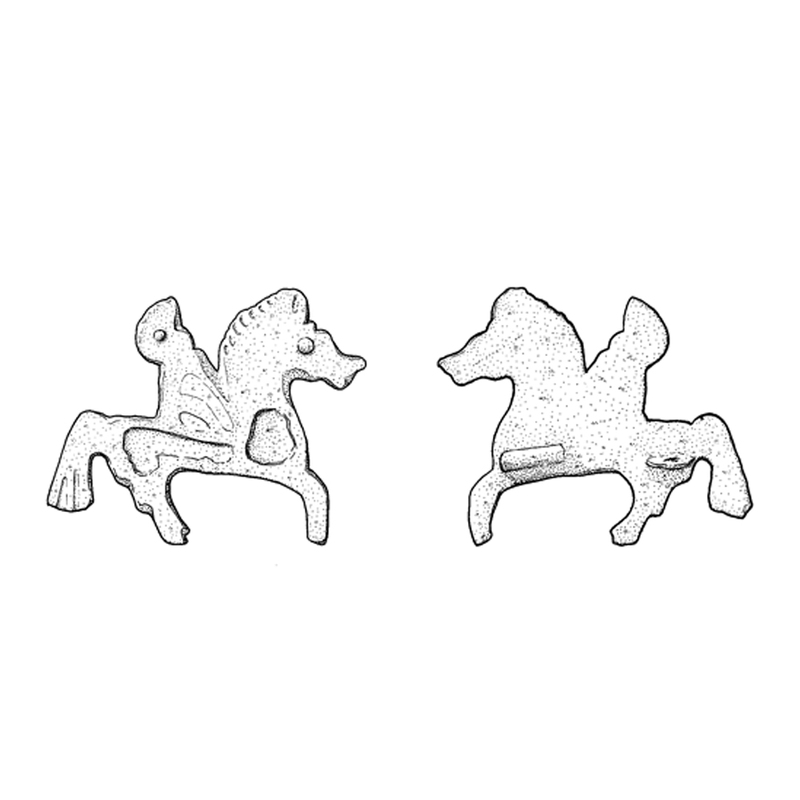 Horse mount fragment, illustrated for the Portable Antiquities Scheme North. Viking, Silver Dragon Brooch. 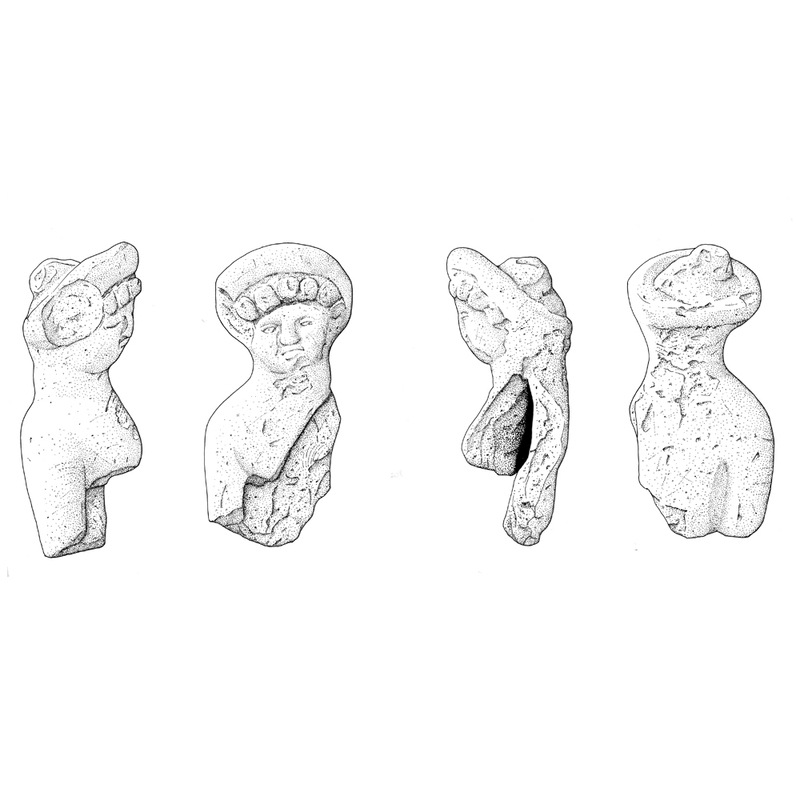 Illustrated for Portable Antiquities Scheme North. Bishops Mitre fragment, from a Viking horde. 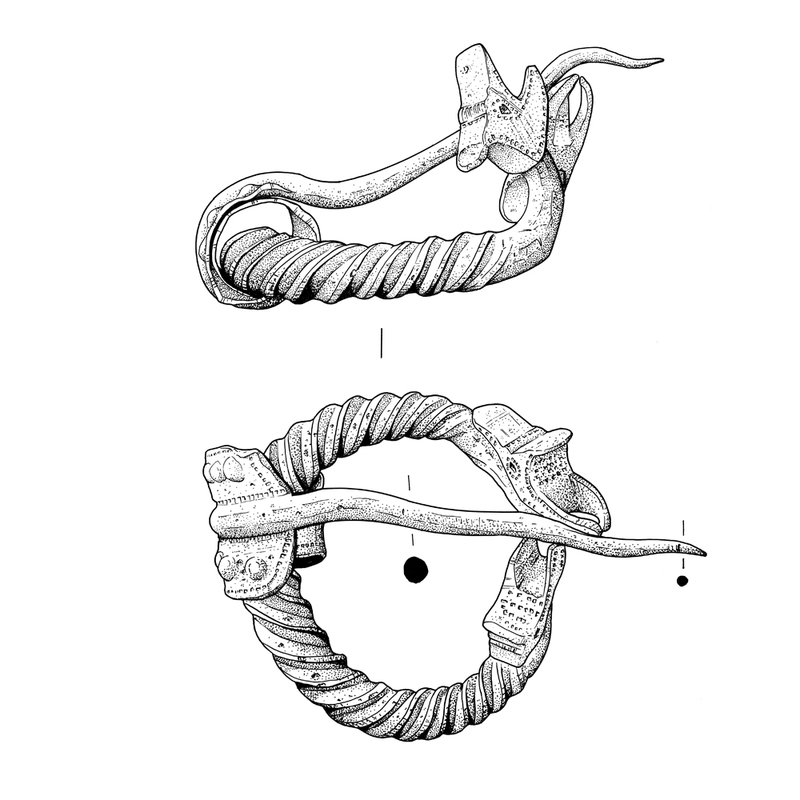 Illustrated for the Portable Antiquities Scheme East. a selection of Roman Loom weights, from Sabratha, Libya. Illustrated for Newcastle University. 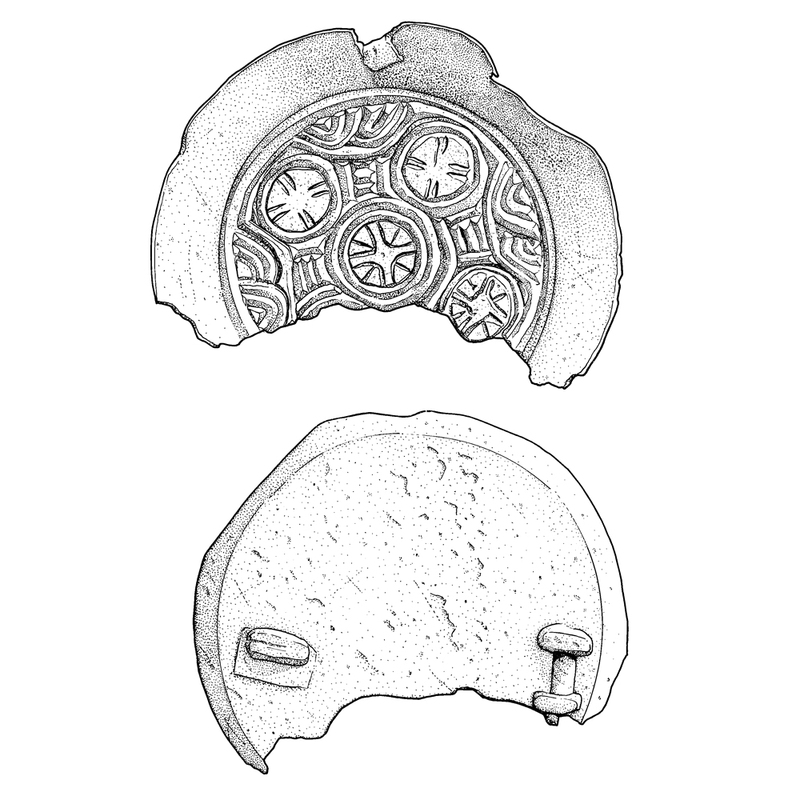 Fragment of a Saxon brooch. 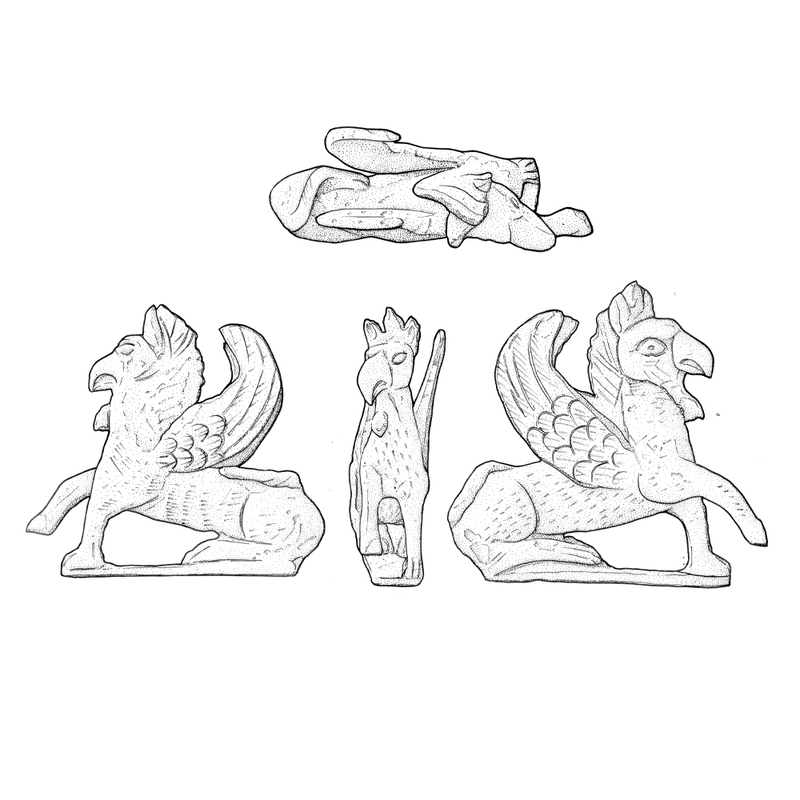 Illustrated for the Portable Antiquities Scheme North. 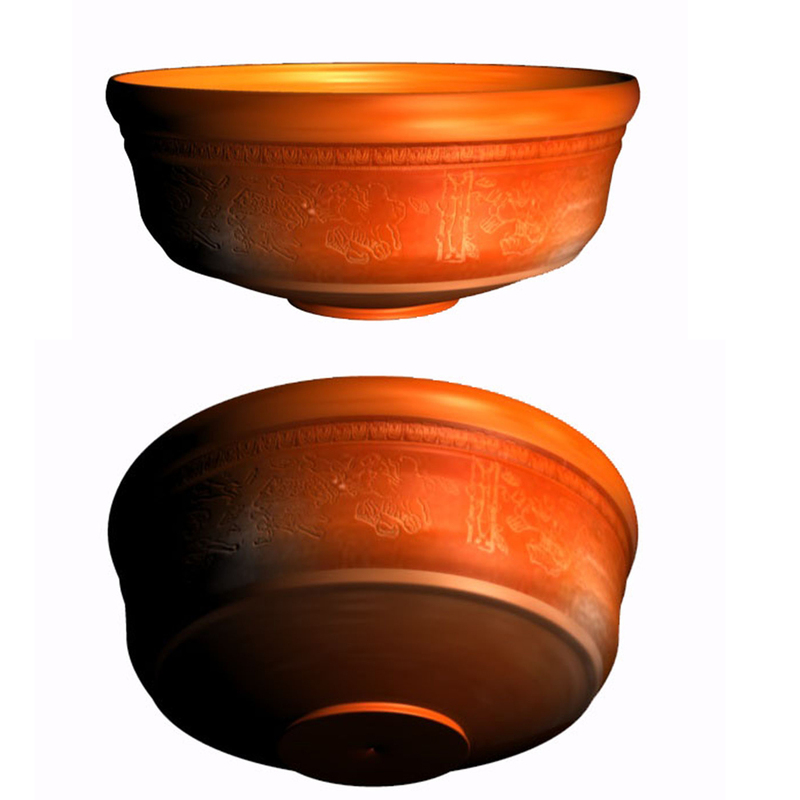 3D model of a Samian vessel, Draggendorf form 37. Model created for Norfolk Museums Service. Ceramic head of a Roman Godess. Illustrated for the Piercebridge project. 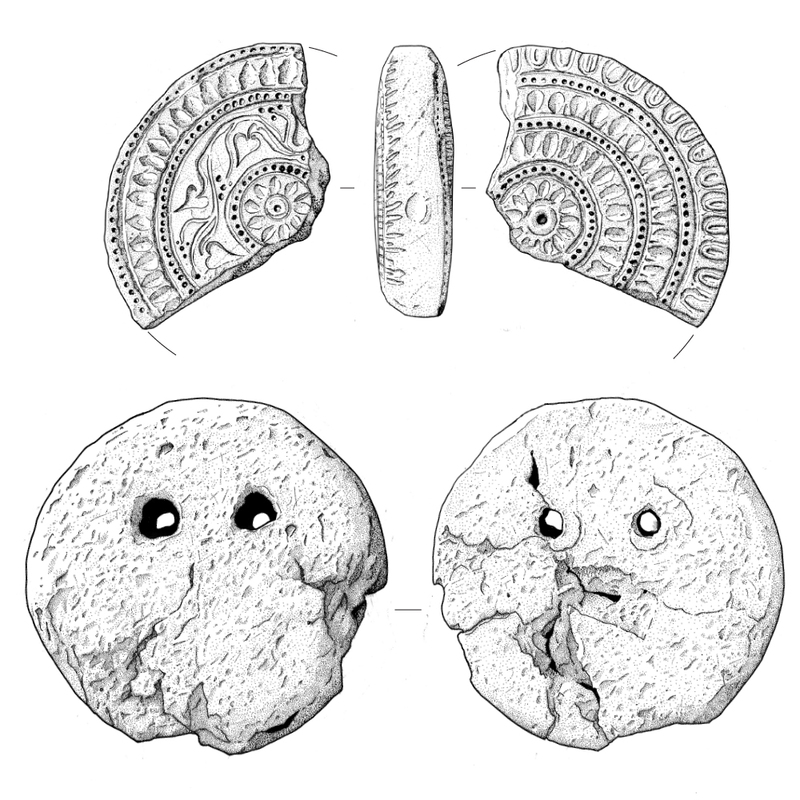 Saddle quern fragment. Illustrated for Durham University. 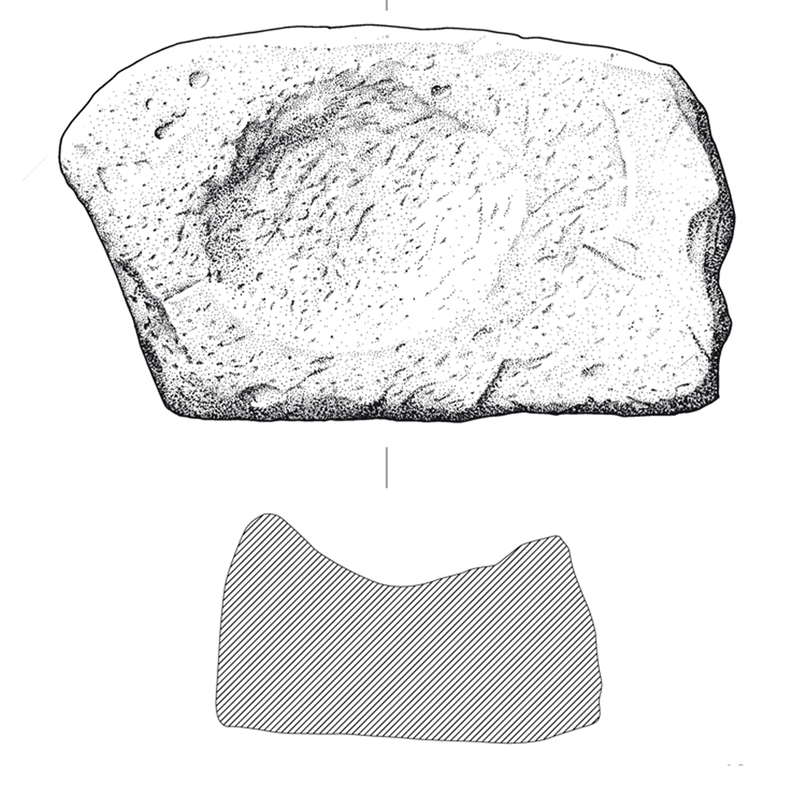 Quern stone fragment. Illustrated for Durham University. 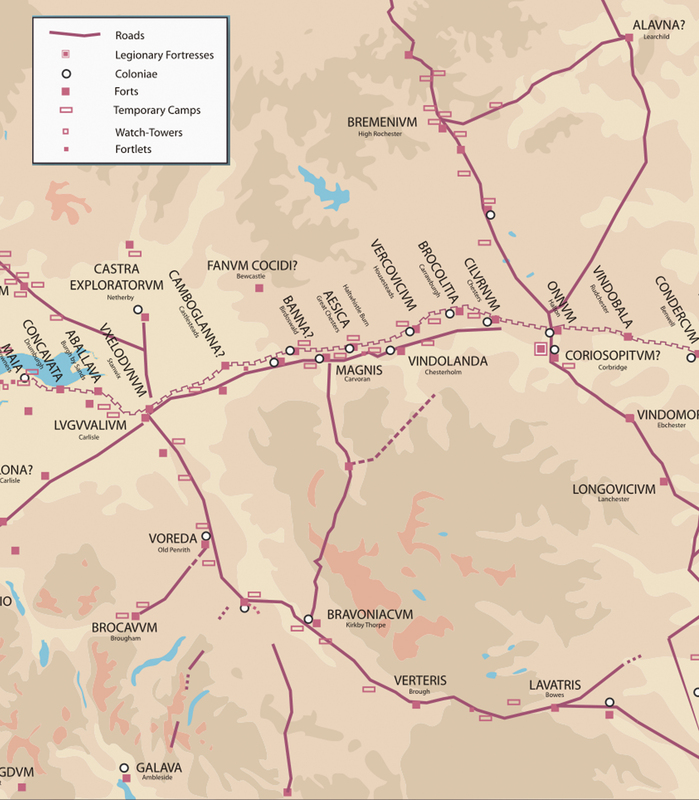 Map of Hadrian’s Wall. Produced for heritage centre wall display.